Starring Nicole Kidman, Toby Kebbell, Sebastian Stan, Tatiana Maslany, Jade Pettyjohn, James Jordan, Bradley Whitford and Scoot McNairy. A weary cop is forced to rake through her own past as an undercover operative when a threatening package coincides with the discovery of a John Doe murder victim. 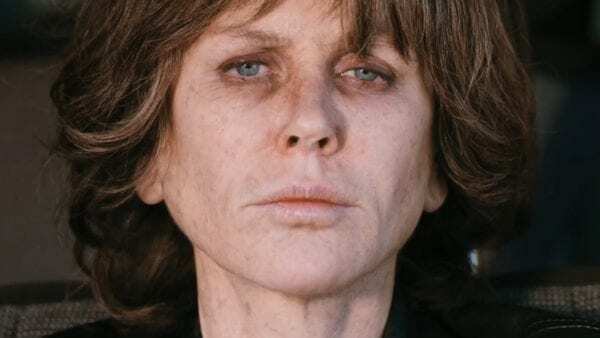 Much like its awards season bedfellow Vice, Karyn Kusama’s LA-set thriller Destroyer has been sold on the basis of a transformative lead performance. In the case of this film, it’s Nicole Kidman who has undergone a decidedly unglamorous makeover to play the role of hard-bitten detective Erin Bell. Her undercover past comes back to haunt her in a threatening and dangerous way when she receives a package from Toby Kebbell’s gang boss Silas. It’s just a dye-stained banknote, but it means a great deal more to Erin, especially as she’s just come from a homicide scene where the same kind of notes were found. 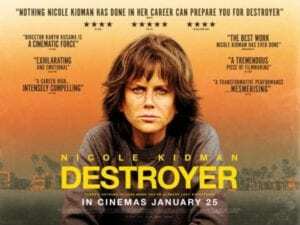 Destroyer clings to Kidman’s character as she opens up her contacts book of miscreants, introduced via flashback sequences to Erin’s past as an undercover operative embedded in a gang of robbers. It’s a case of following the breadcrumbs in order to find her way to Silas, played rather thanklessly by Kebbell – an excellent actor who seems incapable of finding good roles. Unfortunately, the breadcrumbs never really feel like they’re adding up to anything and the mystery, such as there is one, is largely unengaging. Erin’s relationship with her rebellious teenage daughter, who is dating a much older man, is intended to flesh the character out further, but it only serves to inflate the running time. Kidman’s performance is admirably solid, but she’s constantly upstaged by the enormous wigs she’s wearing, which distract from the subtleties of her performance as a woman who is carrying the weight of her life on her face. Despite the decent work Kidman is doing, the character feels lacking in meat and depth, with little notion of what drives some of her decisions. 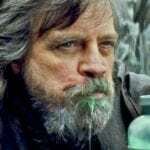 The supporting characters, too, are largely colourless stereotypes and, given the rather obvious conclusion of the flashback narrative, it’s a shame it’s allowed to take up so much time in a movie that, ultimately, is set up more as a character study than as a straightforward crime thriller. In fact, it’s the prestige sheen that leaves the film feeling a little flaccid. It’s so geared towards spotlighting its leading lady’s transformation and leaning towards drama over sensationalism that it forgets to create any sort of tension or excitement, in stark contrast to the exquisite slow-burn of The Invitation – Kusama’s last big screen outing. This is most notable when it comes to the story’s conclusion, which follows a relatively smart narrative reversal with a drawn-out coda that seems to extend into eternity to the strains of a grandiose score, ensuring that the final emotion is one of disappointment and anti-climax rather than anything else. It’s almost more frustrating given that Destroyer does such an impressive job of evoking its setting. Kusama’s LA is a world in which there’s always a hum of audible background noise, including the sirens of a dozen more police investigations, that suggests this is a city of a hundred stories, rather than just the one the audience happens to be watching. 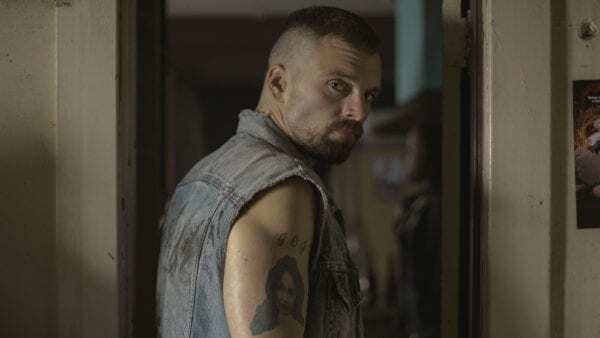 This buzzing of activity, however, does not seem to be in effect when it comes to the story that actually is unfolding on the screen, which fails to raise the pulse even when it does evoke the violence and darkness of its genre. Ultimately, Destroyer feels like a rather hollow and empty experience. It feels as if it’s reaching for the rain-soaked nihilism of David Fincher’s Se7en, but possesses little of that film’s sense of style and flair. Aside from Kidman’s impressive and revelatory turn, there’s nothing here to mark this out as anything other than a missed opportunity.